GLADSTONE residential suburb Kirkwood hit double digit growth over the 12-month period to June giving investors optimism in the region. REIQ research from the Queensland Market Monitor report found 68 suburbs in Queensland recorded double-digit growth from June 2017 to June 2018. The Kirkwood house market stood out with 10.5% growth, $353,500 median price range and sales volume of 26 houses. Remax Gold salesperson Anthony Williams said these figures showed confidence was returning to the Gladstone residential market. "There has been a greater demand by interstate investors for housing in Kirkwood and with interest rates low at the moment it is helping to drive this investment,” Mr Williams said. "Housing in Kirkwood are modern, low-set three or four bedrooms homes with air-conditioning. Mr Williams pointed out the suburbs of West Gladstone and Clinton were looking good with a positive turn over in the housing market. 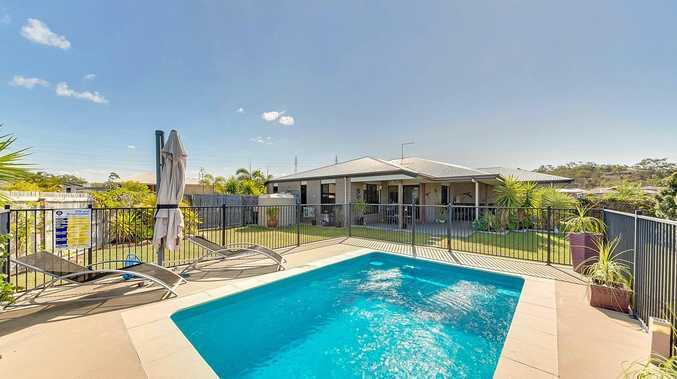 Biloela's suburb of Banana had a standout housing market period during the same time with 18.6 per cent growth, $272,750 median price range and sales volume of 38 houses. REIQ CEO Antonia Mercorella said many headlines predicted doom and gloom for the property market but there were still many markets in Queensland performing well. "A total of 68 suburbs throughout Queensland have delivered double-digit growth over 12 months, which is a really strong result,” she said. The report also stated 18 top performing suburbs reported a median house price range below $350,000 and most of these suburbs are located in regional Queensland. The growth of the housing market has been reflected with the reduction in the days waiting for a buyer to purchase. "Some homes were sitting on around 100 days before being sold but now the days on market are reducing and that shows more urgency in the market,” Mr Williams said.